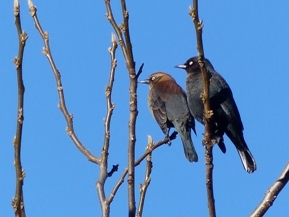 Watched an accipiter chasing birds when we met at Blanchard School to car pool (list). 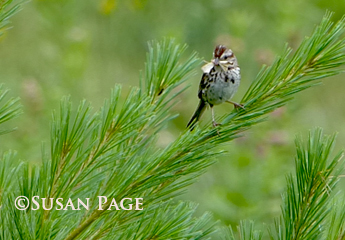 Delaney was very foggy, but eventually found pine warbler and black-and-white warbler in the woods (list). 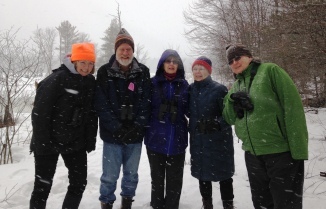 Intrepid Boxborough Birders in the snow. Photo by Rita Grossman.